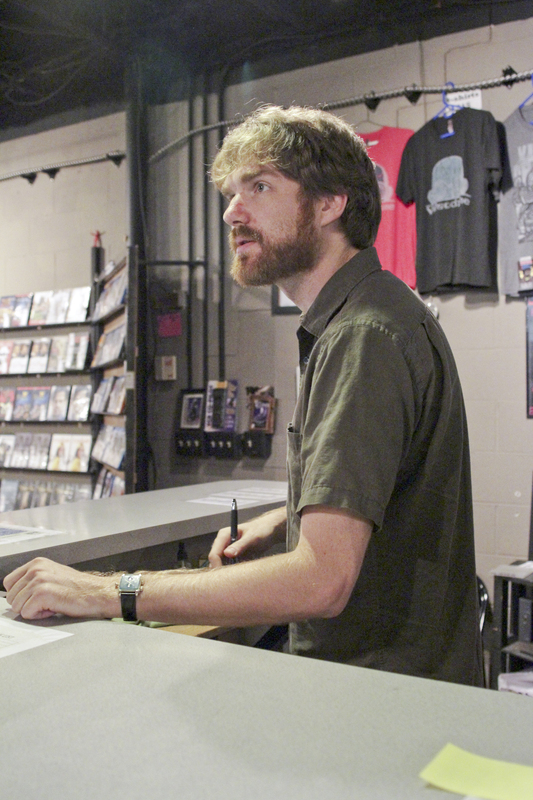 When I first moved to Atlanta in 2007 the internet had not yet fully surpassed movie rental shops. 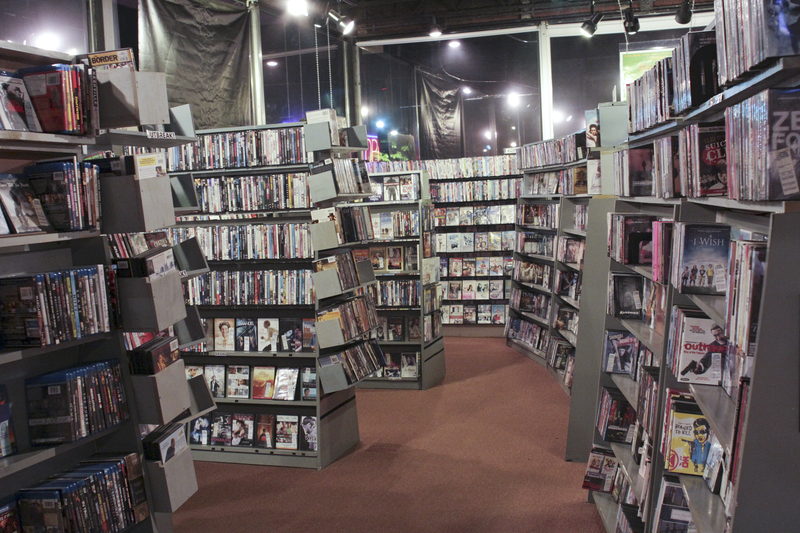 There was a Blockbuster on Ponce as well as Movies Worth Seeing, a small hole in the wall rental spot in the Morningside area known for more difficult-to-find titles. For a time, they were popular and thriving, however both of these spots have since closed in the wake of Redbox and Netflix. 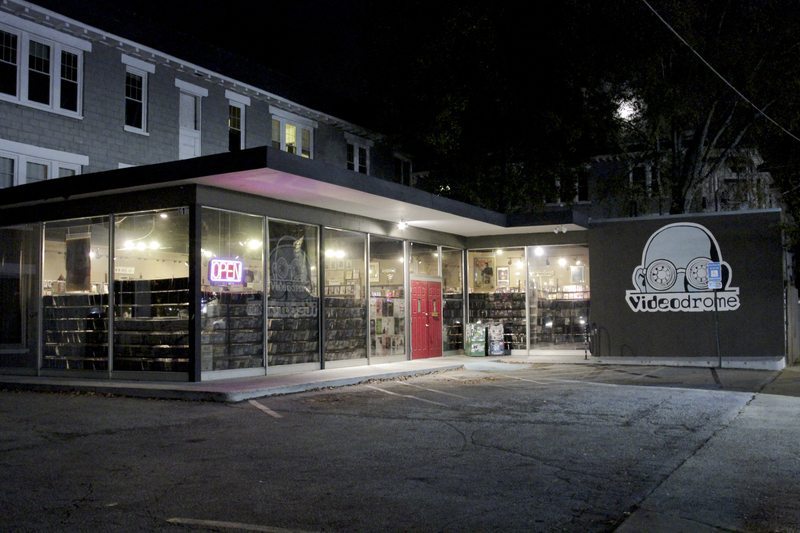 And yet, a single movie rental shop remains and thrives in the new digital era: Videodrome. 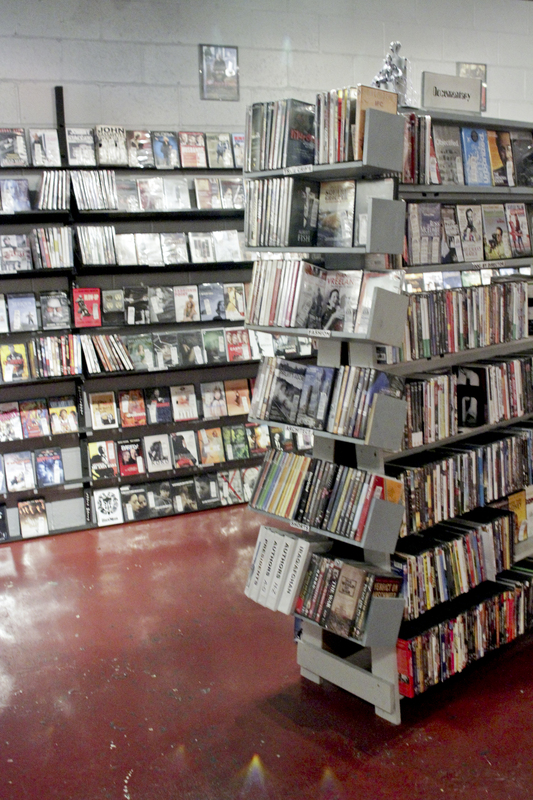 I’ve had a long standing relationship with this small movie rental shop. The iconic building is located at the corner of North and Highland across from everyone’s favorite gas station, Buddy’s. The shop has seen me in many different phases of my life. There were hungover days, groggily fumbling for a Mystery Science Theater that I hadn’t already watched a million times. There were first dates, films for class, girls nights, sick days, the whole lot. The place is an institution, a tribute to the love of film and cinema. 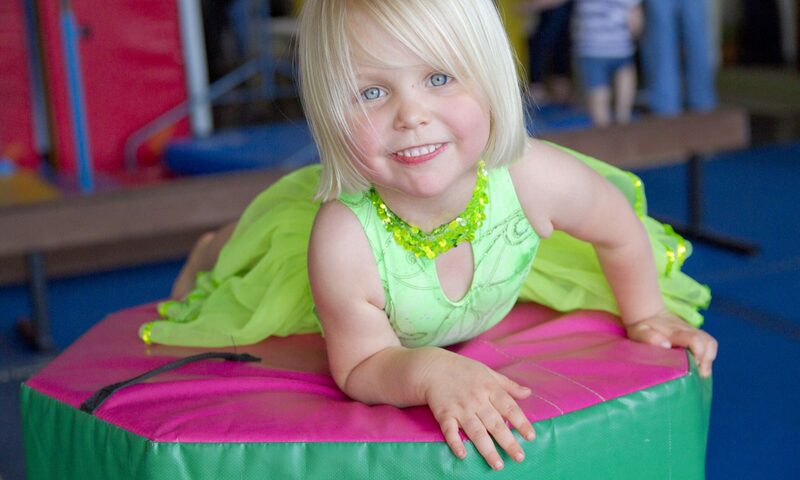 Their selection is massive, with genres that vary from specific to broad. 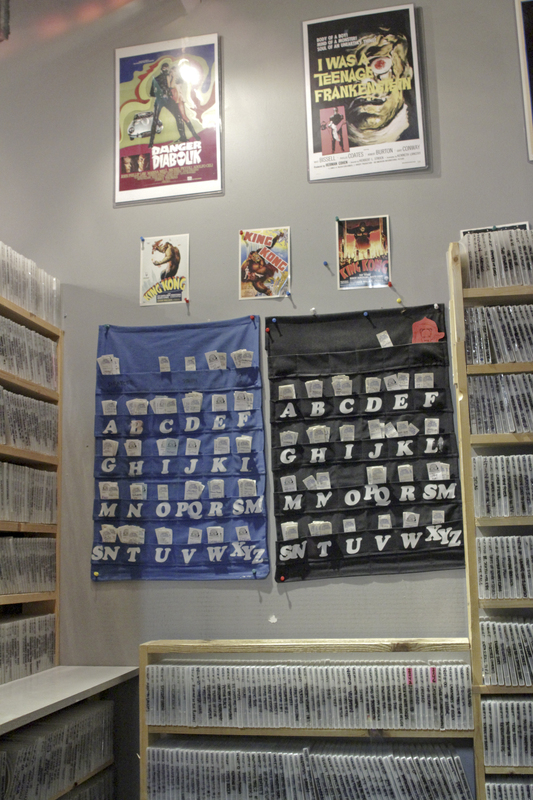 New movies are added to their collection constantly, featured on their main wall before being worked into the general shelves. 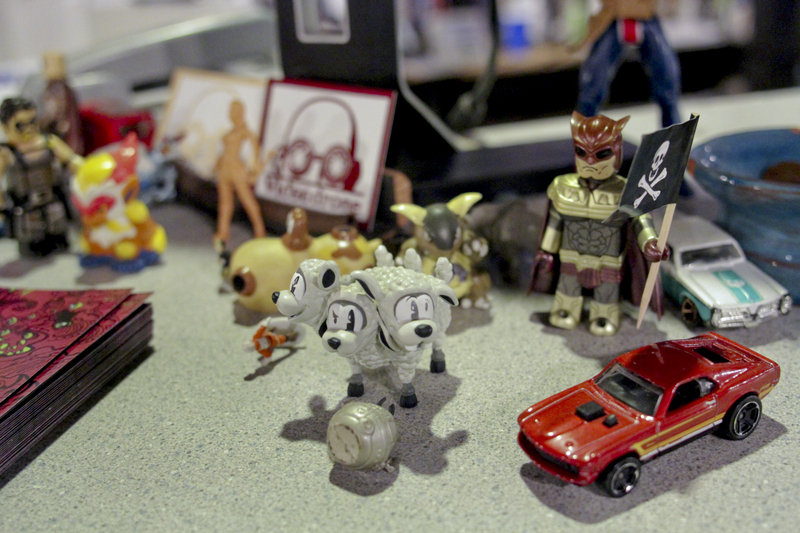 Behind the desk and on the counter sit an army of figurines amassed over the years. The collection is perpetually changing and evolving over time as pieces are added, broken, or go missing. 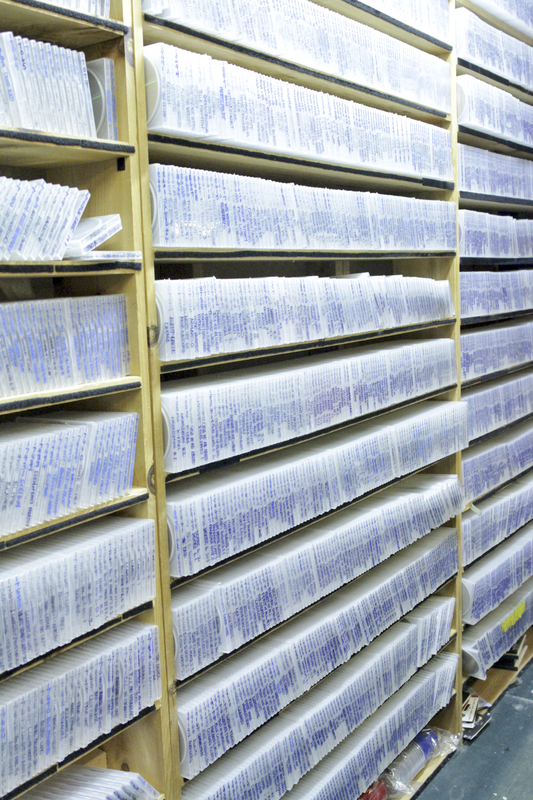 The clerks use a system of paper tickets in addition to their computer to keep track of the ever growing and evolving movie selection. I dare not estimate how many movies sit on their shelves. I feel certain that I would be wrong no matter what number I guessed. Walking among the tightly packed shelves, it’s easy to lose track of time. Old movies play on TVs suspended from the corners of the room, and people quietly mill about browsing titles. The clerks have always been incredibly knowledgeable, most of them having worked there for many years. There is something truly magical about this place. 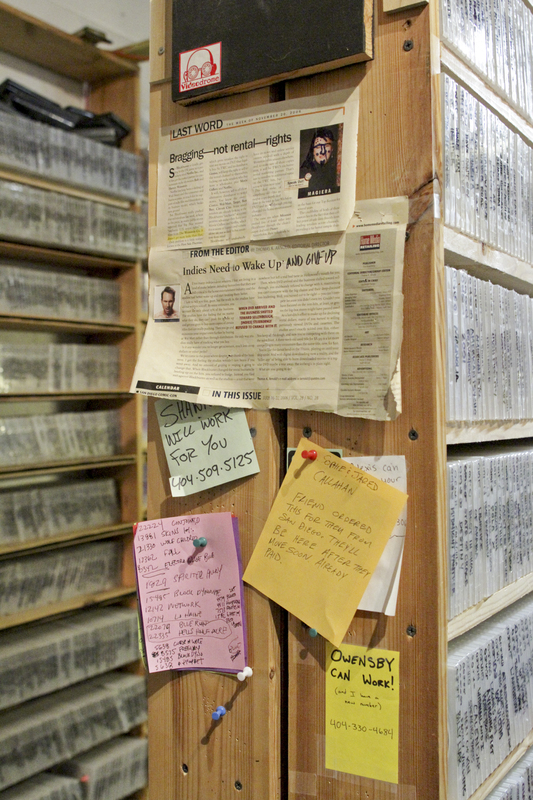 While there I spoke with Matthew Owensby, resident “Videoman” and newsletter editor. 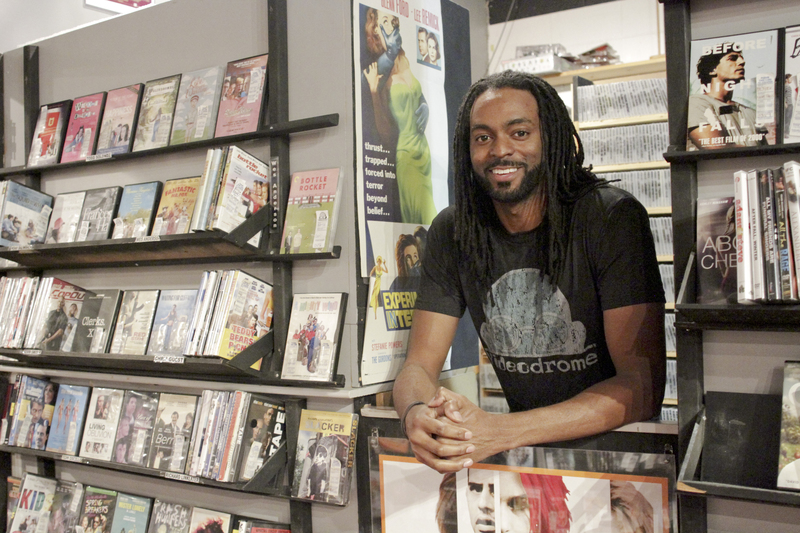 He has been working at Videodrome for 10 years and he took some time to talk with me and show me around the place. There’s also something to be said for the impact that their community ties has had to their business and praised the crowd of regulars who frequent Videodrome. “Our customers are great, and it’s rewarding to provide lots of cool folks good stuff to watch.” This is, by the way, absolutely true. Anytime I have had questions about movies, needed suggestions or generally wanted to talk to someone about film or cinema, the folks behind the counter here have been the most kind and helpful. I asked Matt what genres or areas of the shop that he would recommend checking out, and he listed the film noir section, documentaries, and cult/horror. “All of our sections have lots of sub-sections, which make it easy to get sucked down a genre rabbit-hole.” Yeah, no kidding. 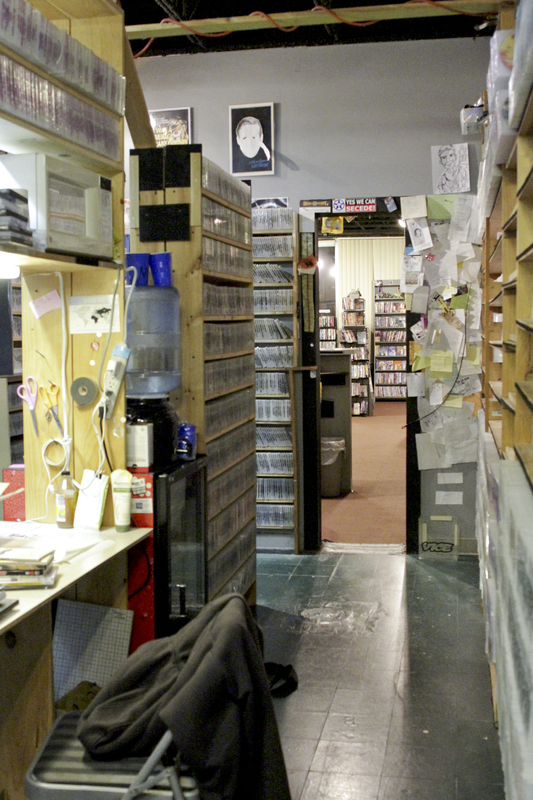 Matt took me behind the counter and into the back room where they store the DVDs. The quantity of films really becomes apparent here, seen in the volumes of discs stacked tightly on shelves in the small but tidy space. 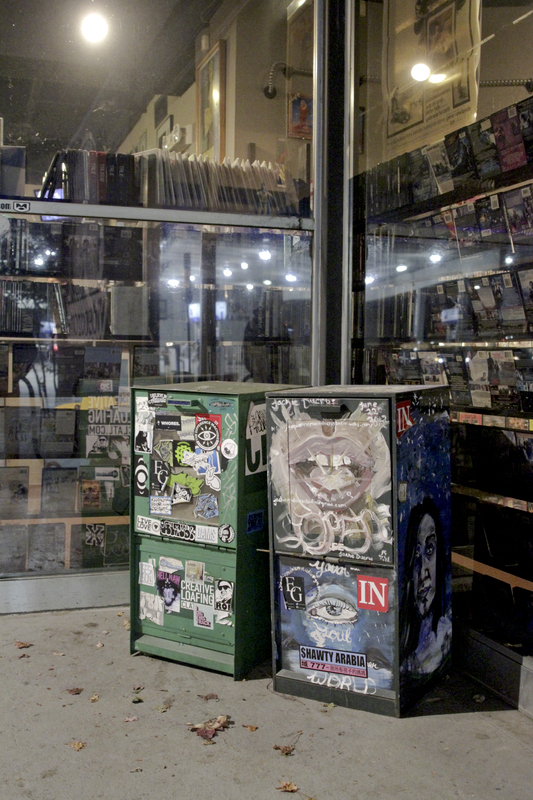 In addition to housing an extensive array of films, the shop plays an important role in the artistic community at large. Populated by avid film lovers who are more likely to have seen David Lynch films than David Spade movies, the space is a refuge for film and art enthusiasts. They sometimes sponsor film-related projects like Buried Alive, and their presence can be seen during events like Streets Alive when their parking lot becomes a party destination. It was an honor to get a backstage tour of this Atlanta legend, and I highly suggest stopping in sometime yourself. See their website for more information, like them on Facebook, and definitely sign up for their newsletter to hear about new films that are coming out.